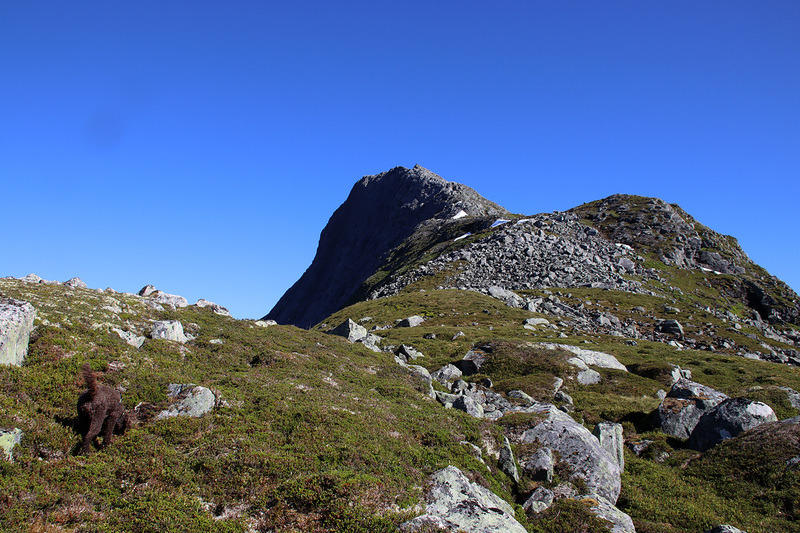 Friday; stunning weather, and today I would finish off my list of peaks on the watershed on the south side of Honndalen valley, by visiting Botnenibba after work. And if was lucky, the north side would be completed before the weekend was over. I drove to Røyrhussætra for the second time ever. 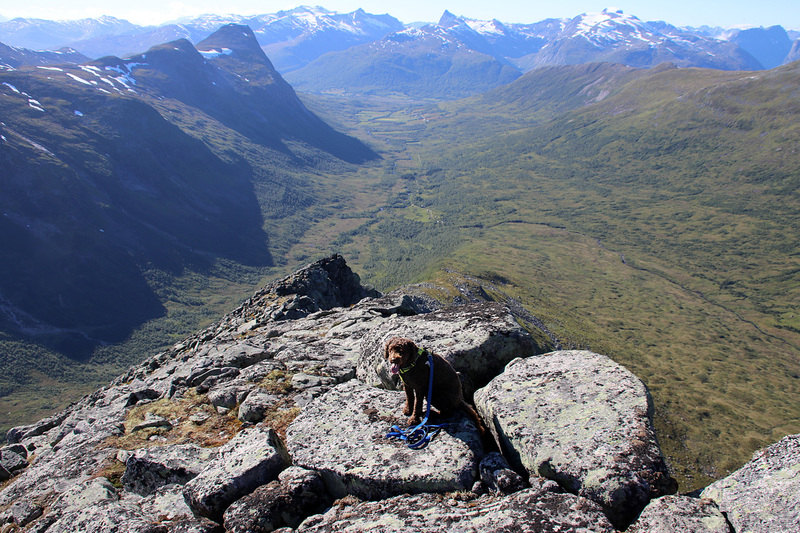 The first time was in the beginning of the month, when Karma and I hiked Ørnefjellet and Rasumsfjellet. I really should have visited Botnenibba back then, but it just didn’t happen. So, here I was, ready to finally “bag” this beautiful top. 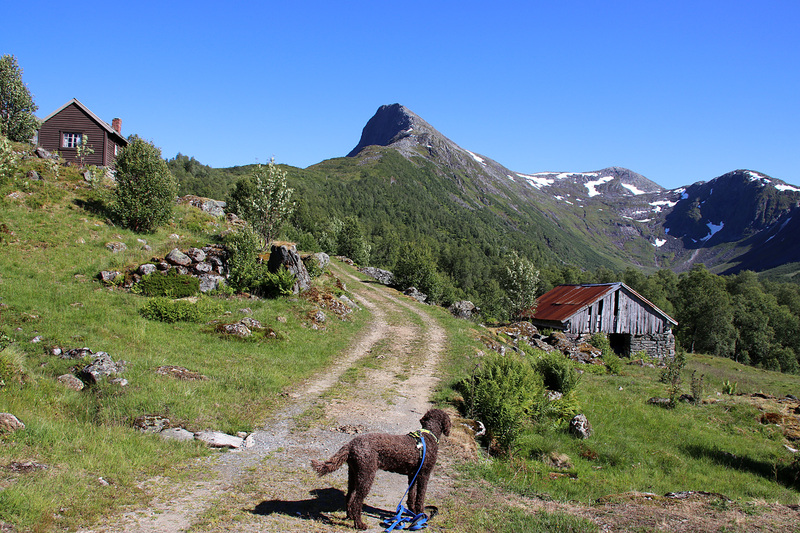 We followed the path into Skihelledalen, like the last time. 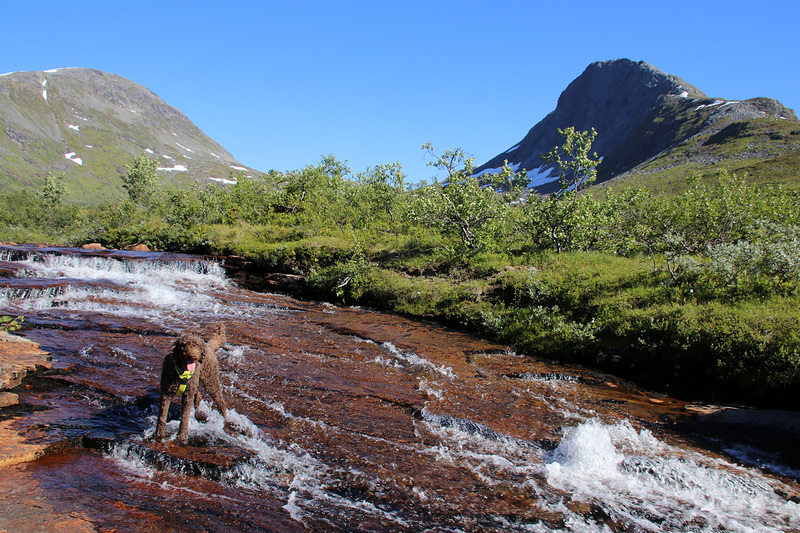 But once in the valley, we crossed the river and aimed for the Botnenibba ridge. The ridge was quite steep, but there were no problems and eventually we could follow the final pitch towards the summit. 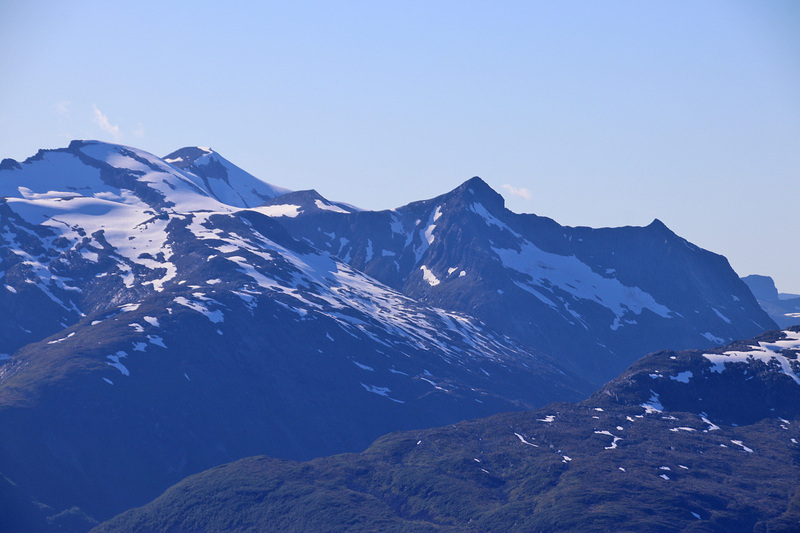 I also had a clear view of Rokkekjerringa, a peak that I had been thinking about for so many years, and always I imagined I would ski. 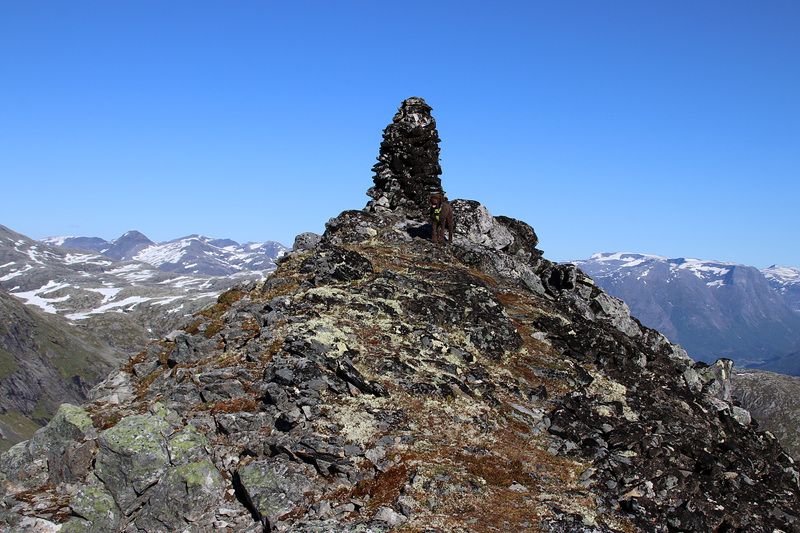 But now I had a plan to visit this top the day after, and finish off my list of peaks surrounding Honndalen. 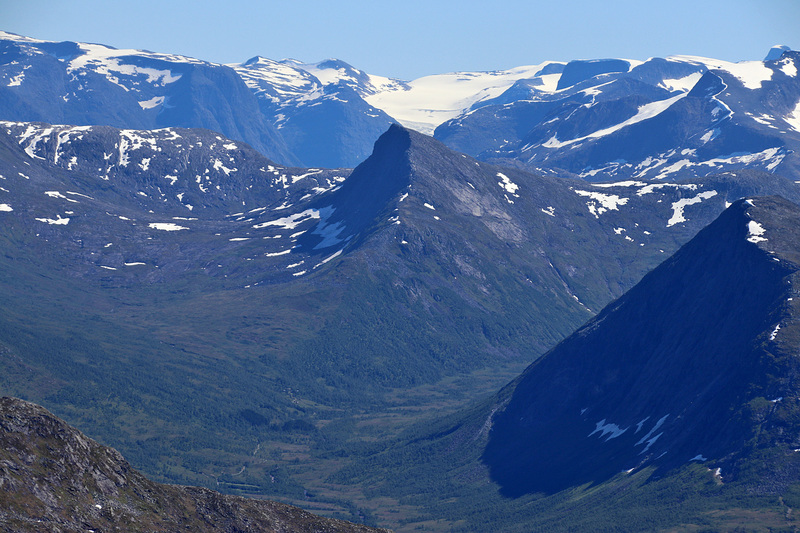 It was tempting to descend via Tennafjellet and Tverrdalsskaret, but it was almost 7pm on a Friday afternoon, and I wanted to get home (1h:15m drive) and enjoy a beer and a nice evening back home.